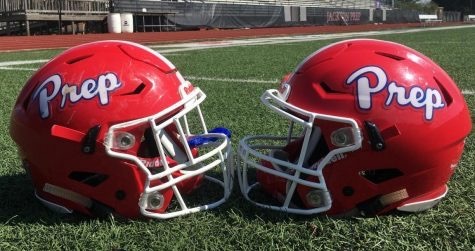 Flowood, MS. — The Prep Patriots will be looking to continue their early season success Friday as the Forest Bearcats come to town. The 3-A public school will be the first real test for the Patriots thus far. Forest, is coming into the game with a 2-0 record and plenty of momentum. Jacob Brooks and Paul Hughes will be the offensive leaders for the Bearcats as they are coming into the game with a combined 409 rushing yards. Brooks is also a leader for the team’s defense as he has ten total tackles through the first two games. Though Forest is known for their strong running game, their defense is their team’s anchor. As a whole, the defense has only let up a combined 15 points as they enter week three. However, they will be short their four-star linebacker, Diwun Black who transferred from the program last week. Much like Forest, the defending six-time state champion Patriots will also be entering this non-conference matchup with a bit of early-season momentum as they beat their first two opponents by a combined 92 points. The dominance that has been showcased by the Patriot’s offense this season will have to continue in a big way against Forest if they want to keep their hopes alive for another undefeated season. In week one, Prep forced East Rankin’s offense into negative yardage, and in week two they didn’t slow down as they held the Washington Generals to 42 total offensive yards. This defense has proven that they can stop the attacks that private schools will throw at them, but Forest isn’t a private school, they are a public school that is known for their football program. Both Jacob Brooks and Paul Hughes for Forest have proven to be unstoppable at this point in the season, and for the Patriot’s to have a chance in the game, the coaching staff will have to find a way to slow them down.